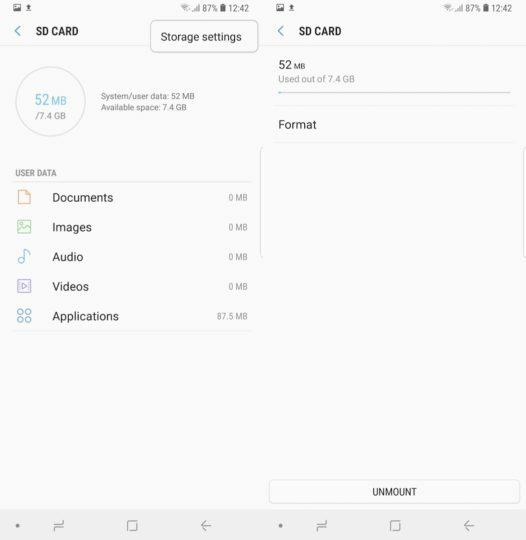 The Galaxy Note 9 supports microSD cards of up to 512GB. This means that with the 512GB internal storage variant you can have up to 1TB of storage in your pocket. It can be a bit of a handful to manually make space on a microSD card with that much storage. That’s where the format option comes in handy. With just a few taps you can have all of the data erased. If there’s something that you do want to hold on just remember to make a backup before you go ahead and format the SD card. 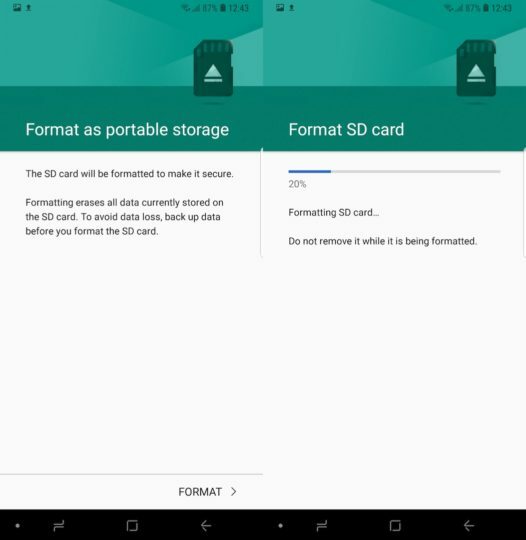 Don’t know how to format Samsung Galaxy Note 9 SD card? The process is simple enough and doesn’t take more than a few minutes. 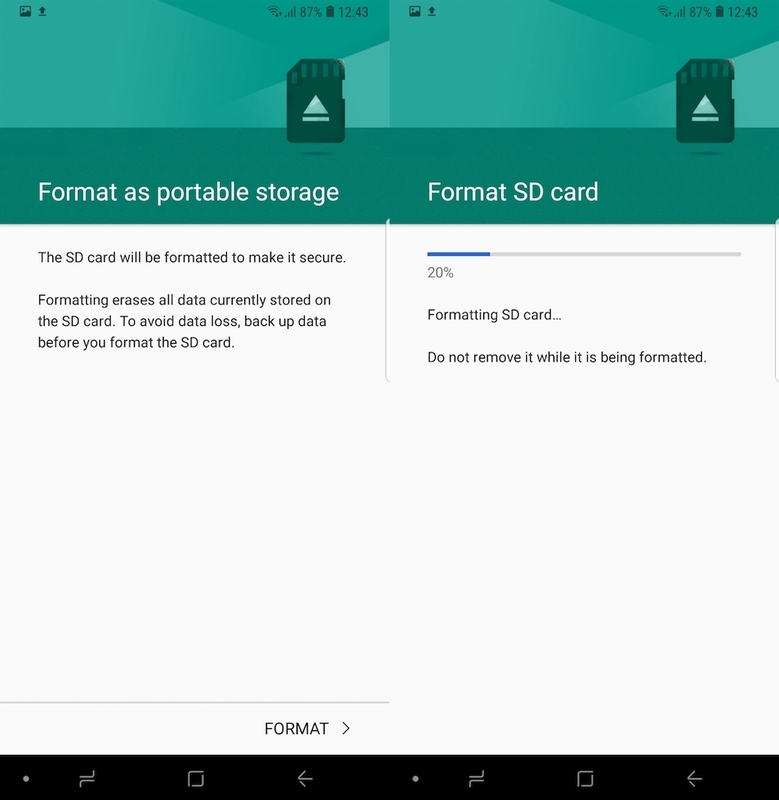 Step 3: You will be prompted that formatting will erase all data on the microSD card and that you should do a backup if you want to avoid data loss. Tap on Format to go ahead. The device will then run through the process automatically and prompt you when the card has been formatted successfully. 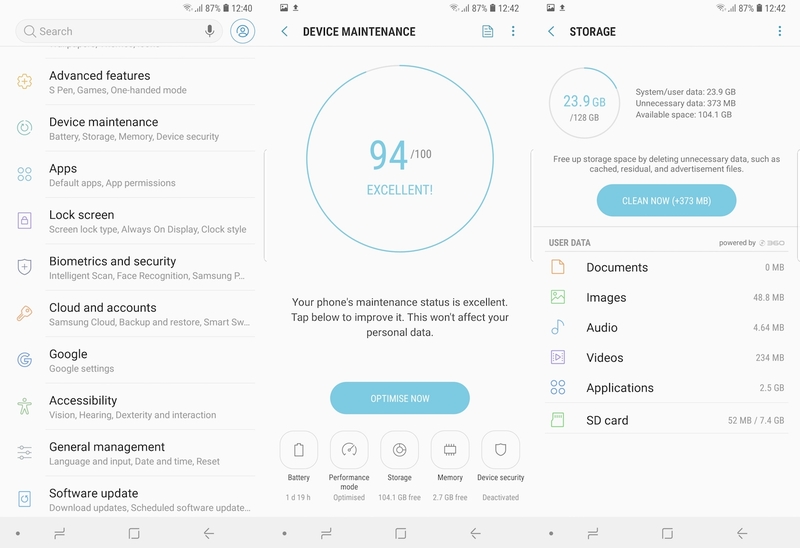 This simple procedure is all that you need to follow in order to format Samsung Galaxy Note 9 SD card. Be sure to check out our other Galaxy Note 9 tips as well. You can also download our new magazine for 25 Galaxy Note 9 tips and tricks in a single location. I’ve seen that with a microsd, my device uses now battery. The way your articles are going, soon we’ll get “how to” on how to take Galaxy Note 9 out of the box. But seriously, Note series is directed for power users who should knoe all this basic stuff. So writing stuff like this one is just silly and done for the sake of writing X ammount of articles a day. The decision to write “stuff like this” is based on a variety of factors, including but not limited to data which suggests what is being actively searched for. People who are new to the Samsung ecosystem find these articles useful, even if those who are already used to it don’t. Yeah but we see tons of articles like this everytime when new S or Note is released. Would be easier to make one article with all tutorials and everytime a new handset is released just make one article and give all the links inside? I totally agree with this post, last few articles are completely unnecessary, I don’t think changing a background picture or to turn of power saving mode needs to be explained hundreds of times. Google is quite helpful with this. Your feedback has been noted. Thank you! I miss old articles written by Deidre R.